Inspired life motivation is a balancing act between learning to hold on and learning to let go. On the one hand, you want to develop willpower to direct the life changes you want. On the other hand, how to motivate yourself - especially when feeling extremely unmotivated or demotivated - is more than a matter of will. It's a matter of skill - tapping into your subconscious mind, where your deepest motivational instincts reside. Inspired life change is a dance between powerful and dynamic forces - all within us. Sometimes the harder we push - the tighter the grip on our goals - the less personal power we're actually able to muster to achieve them. Too much will and conscious intent invites resistance to change, which only gets in our way. Friction and struggle enter the picture of our dynamic life change. If tapping into inspirational motivation is the aim, then developing an inspired working familiarity with subconscious mind power is key. Have you ever wondered about the connection between motivation and positive thinking? Can keeping a positivity journal motivate you for life? 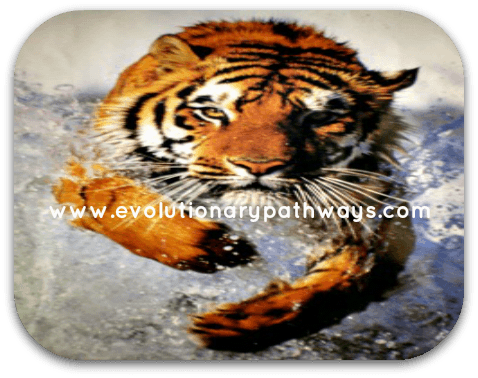 How do you motivate yourself with positive self-talk or how can you use these evolutionary positive attitude tips to go beyond simply 'feeling good' to actually evolve? Thinking and motivation will also walk together hand-in-hand. Motivating yourself to succeed at inspired life change can be difficult with fear of failure lurking in the background. You may know it's best to expect success to stay self-motivated, yet the fear of failure may unwittingly sabotage these expectations. If you're fearful of failing - especially at a subconscious level - your aim to succeed can become a real struggle. To move forward with confidence and self-assurance, isn't it time to ﻿understand the fear of failure to overcome it? Motivation and self improvement are constants on the road to inspired life change. Yet, there are pitfalls in this road that you best become aware of. With this awareness you can avoid wasted time and energy otherwise spent on digging yourself out of these holes to resume the progress you're after. These four motivation and self improvement pitfalls may not always be obvious without taking a closer look at the road you're walking. Have you ever tried becoming emotional when you weren't feeling it? Have you ever tried forcing yourself to tears or to cry on command? You can't really do these things without actually feeling them can you? It's the same with life motivation. All of the motivational thoughts in the world won't have the impact of a simple shift in your emotions. After all, what is emotion if not energy-in-motion? Challenging times can either dampen your life motivation or rekindle it. If you're feeling demotivated or have trouble finding the motivation you want these tips on how to keep yourself motivated can help. Sometimes a slight change in perspective and attitude is all that it takes to bring motivation back to life. Experiencing life motivation comes naturally when you're in the state known as flow. In the state of flow you're directly connected to the living current of your subconscious mind - the very place that flow psychology thrives. The motivation you find here is pure and plentiful. You'll find it an overflowing fountain of vital energy that naturally sweeps internal obstacles right out of your way. Use these weight loss motivational quotes to tap your subconscious mind for the fitness motivation you need. Unstoppable workout motivation results from successfully bringing your conscious and subconscious mind into alignment with your goals. Having a 'comfort zone' to retreat to is important for powerful personal growth, self improvement and motivation. We all need to have a safe place where we can rejuvenate and recoup our energies. Yet, clinging to our comfort zone for too long can have an opposite, detrimental, effect on our personal development and self-motivation. Where it becomes harmful is when we find ourselves reluctant to leave the security of our comfort zone in exchange for new experiences and essential growth. Clinging to our comfort zone is the first of six mind habits we could do without. For more on this important self-development topic, visit mind habits to master. The 2nd of the mind habits we do well to manage is fear. While it is true that fear can be one of the most powerful self-motivating forces known to man; it can also paralyze us into inaction when it overwhelms us. This is especially true with a particular kind of insidious fear - the fear of fear itself. While fear may serve a positive purpose in our lives, the fear of fear itself actually doesn't help us. To learn more about this corrosive mind habit and how our self help motivation is affected by it, visit the fear of fear. When it comes to 'getting ahead' in life, we all have a nasty habit of comparing ourselves to others. Whether it be at work, on the basketball court, on the golf course, in a nightclub or boardroom, there is never a shortage of opportunities to compare ourselves with others and judge our own 'achievements', 'performance', 'style', or very 'being' as inferior. The irony of our reflexive tendency to compare ourselves with others is that instead of serving a positive purpose of motivating us to become better - better human being and/or better at what we do - it often backfires on us and actually erodes our motivation. Visit comparing yourself to others to learn more about comparison and its effects on self help motivation. If we don't get what we want (or even think that we might not get what we want), the mind swings to the opposite extreme, telling us that we don't want it at all. If the achievement of a goal or dream has been thwarted, the mind may readily swing to the extreme conclusion that it is better to do nothing and just 'let the chips fall as they may'. The mind loves to be either 'over here' or 'over there'. It doesn't naturally know what to do with all of the space in the middle. It needs our help. Two classic expressions of thinking all-or-nothing are catastrophizing and self-delusional positive thinking. Both, in their own unique ways, hamper our ability to self-motivate and accomplish our best intentions. Visit catastrophizing and delusional positive thinking to learn more. On the surface of it, striving for perfection seems to be a highly admirable quality - and it is. Striving for perfection is an expression of our innate desire for excellence. It's when striving for perfection starts getting in the way of the excellence we want that we've strayed off our path. Excellent life motivation requires a flexibility and adaptability that the perfectionist in us may very well resist. Perfectionism insists that life be a certain way. When it isn't, procrastination and resistance quickly set in. Perfectionism and procrastination are a deadly duo when it comes to inspired life change. After all, you don't want idealization getting in your way; when realization is truly what you're after. How Is Self-Efficacy Motivating You? Developing a strong 'can do' attitude is central to inspired life change, personal growth and self-development of many kinds. How is your 'can do' attitude doing? Do you find yourself hesitant in taking the action steps you need to take? Or do you find yourself more often than not with the feeling that you can do this? Either way, know it's your self-efficacy talking. Words have tremendous power. This is especially true when the words you choose to use are clear and focused, removing mental clutter and leaving you free to achieve. This is why goal setting is important. These examples of smart goals show how goal setting is actually an exercise in focused thinking and conscious use of words. Smart goal setting helps you embrace the power of words consciously and deliberately towards the inspired life change you want. Keeping a goal setting journal can help keep you motivated as you make your way. Much of Yoda wisdom is reflective of the wisdom of the Zen masters of old. We would do well to lend an ear to some of what this 500 year old, little green master has to share. Proactively working with the mind is a specialty of such live motivation masters. How About Some Poetry to Motivate? If life motivation is an emotional affair, what better way to connect with it than through a poem or two. Motivation poems can help you tap into that powerful undercurrent of emotion that runs like a river through your life. Reading motivational poems about life is a bit like stepping into a boat on that river - you're definitely in for a ride! Inspirational quotations, motivational quotes and wise words of wisdom can be a powerful source of change in our lives. Reading a positive motivational quote at exactly the right time in our lives can have a profound effect on the inner environment of our mind. Whole internal worlds can shift and we can emerge with a new perspective. This unique collection of inspiring life quotes may have the exact inspirational thoughts that you need to hear.